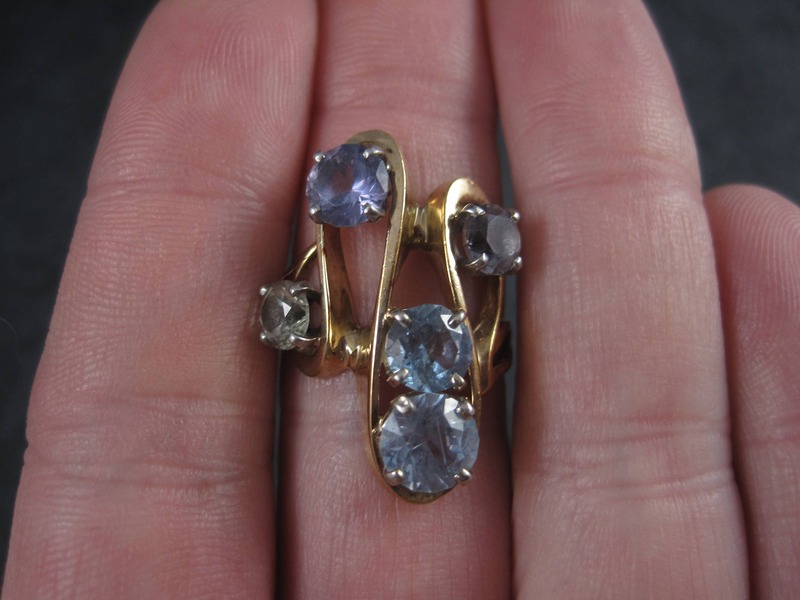 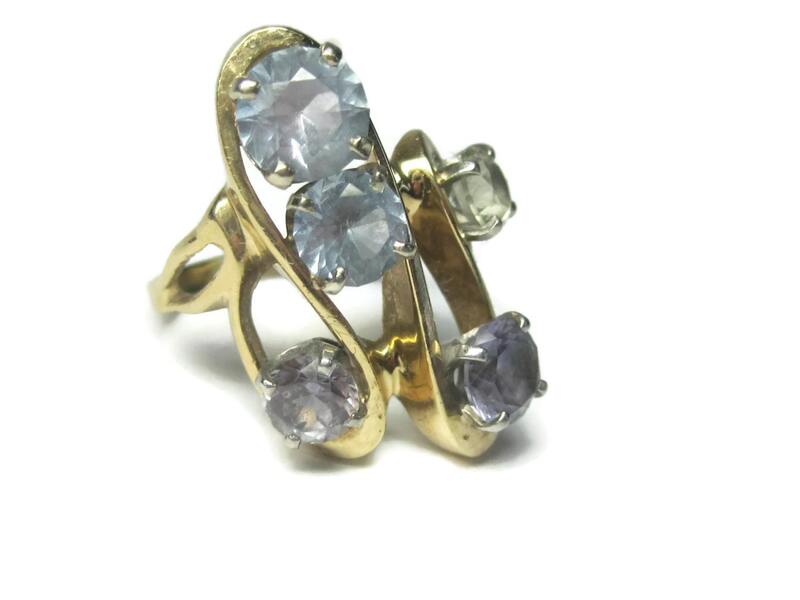 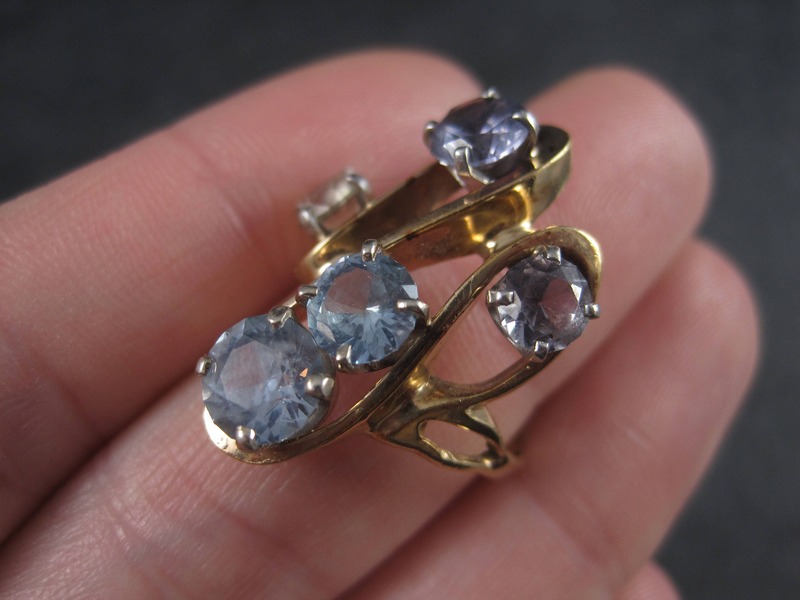 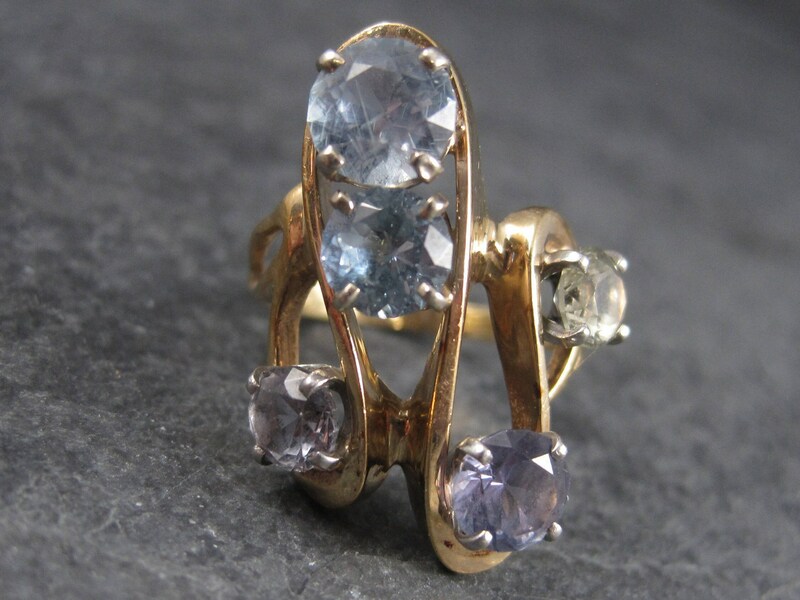 This gorgeous and unusual ring is 14k yellow gold. 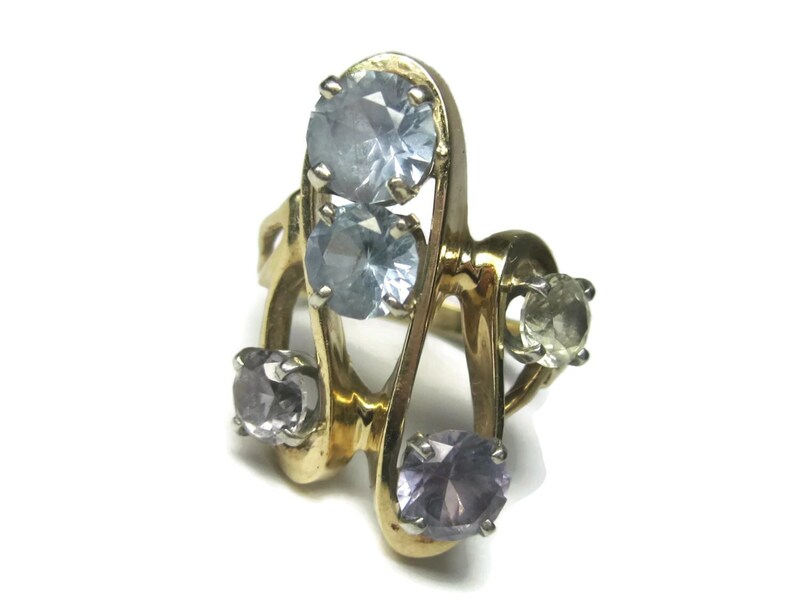 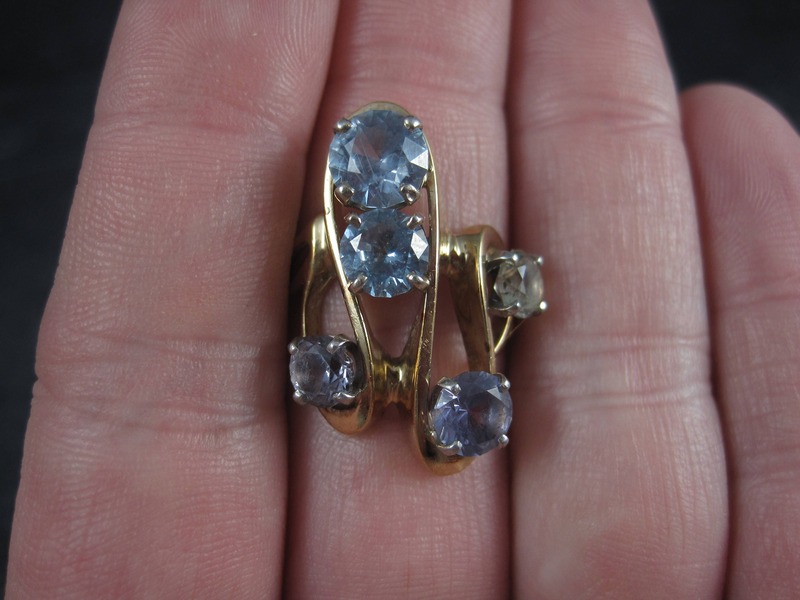 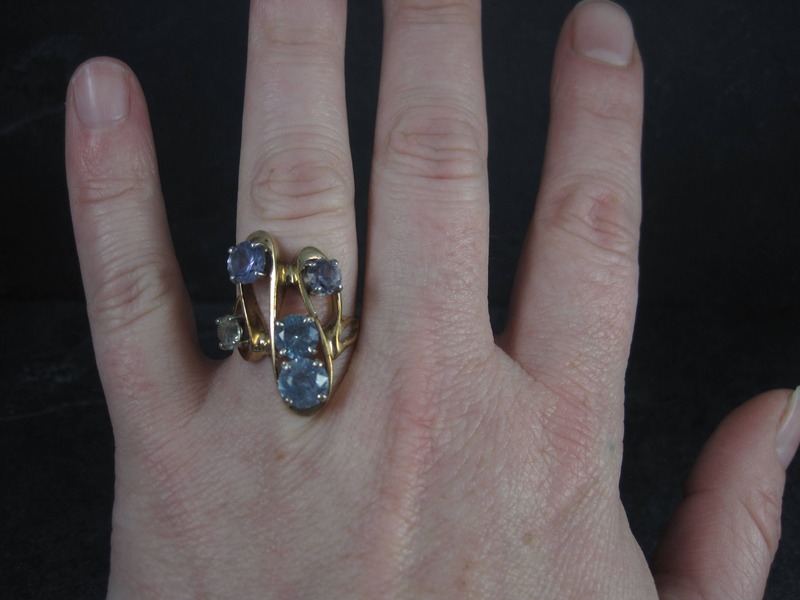 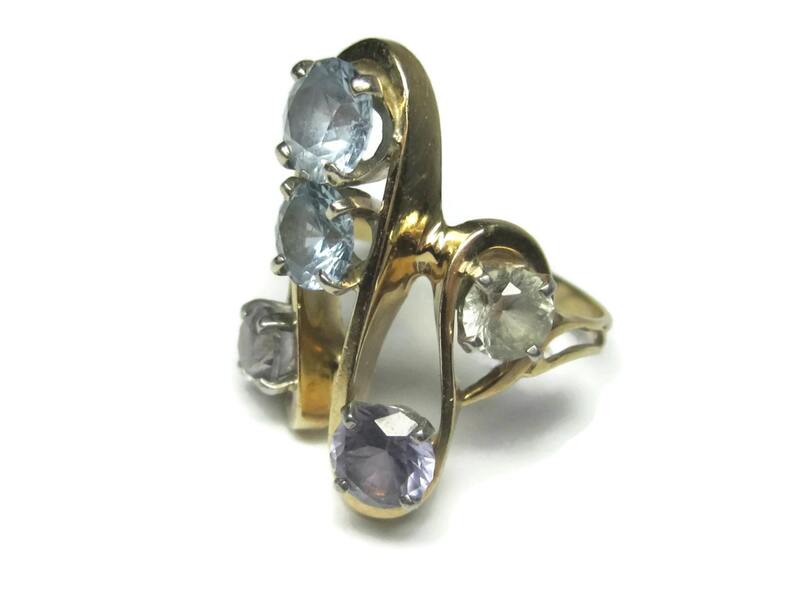 There are an estimated 4 carats of gorgeous natural zircons in a combination of light blue, a greenish yellow and two color change (from light blue to light purple). 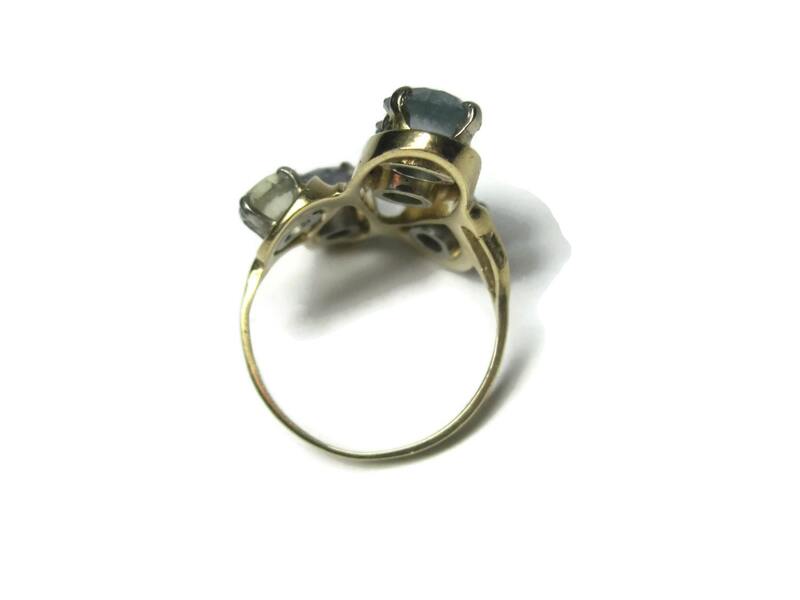 The face of this ring measures 1 inch north to south with a rise of 6mm off the finger. 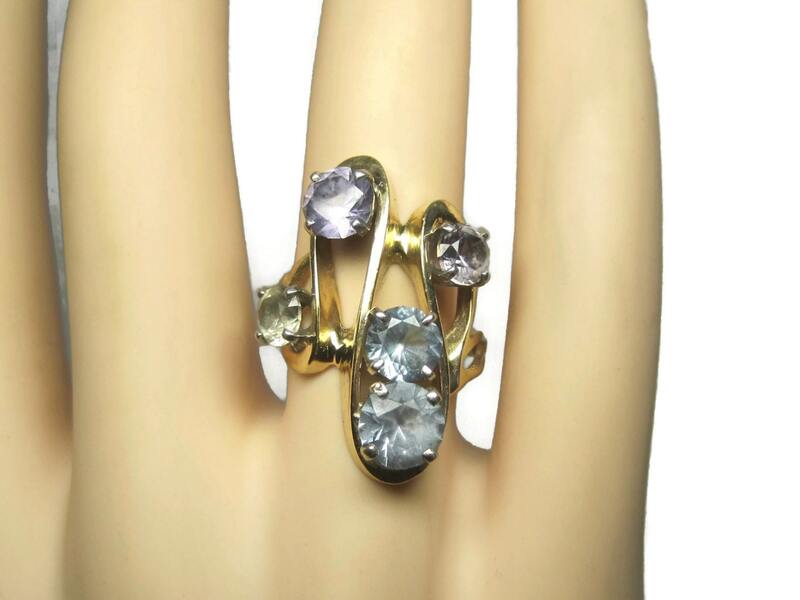 This ring is a size 7.